Are you looking for an original gift for a loved ones - pick up a Gift Certificate to a one of a kind makeup lesson. Buy one certificate at regular price $50 and get your session at 50% off. Why not splurge a little on yourself. Learn how to do your Makeup like a professional with your own Makeup! Experience a new and improved ladies night. Enjoy an hour of your evening for YOU and your girlfriends. 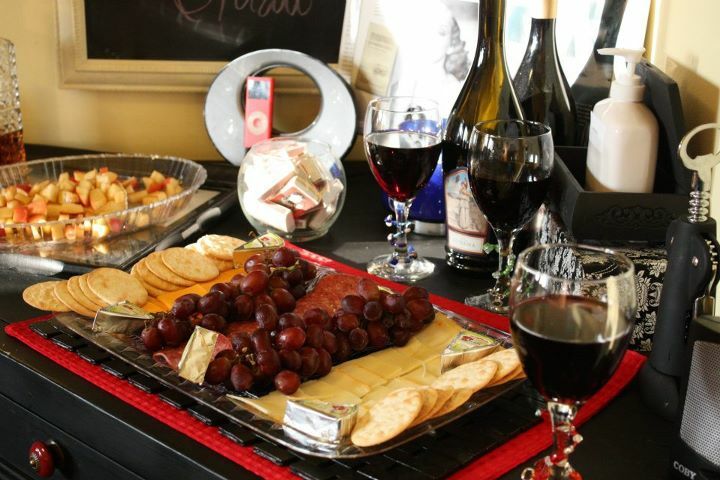 Indulge in some wine and cheese platter (Included in fee) at Darling Devil's Makeup Studio where you have an ambiance of lounge/speakeasy/boutique. Each person has a personal standup table mirror for their use, disposable sponges, mascara wands, lip gloss wands etc. *These classes are on first come first served basis, and are limited to 6 people per class and a minimum of 2 people per class. Don't forget to bring your own Makeup! Your appointments are very important to me and it is reserved specifically for you, it is understandable that sometimes unforeseen occurrences happen and adjustments are necessary, therefore I respectfully request at least 24 hour notice. Please understand that when you forget to cancel your appointment without giving enough notice, someone else missed out on the opportunity to fill that appointment time. Since the services are reserved for you personally, a cancellation fee will apply. Hope the move is going smoothly. We have chatted briefly in the past when trying to schedule a class but you're always booked. Was wondering if you were still having the 8/3 class at 5 and if there were any openings? Thanks for your time, look forward to hearing from you. Want to safely Transfer pictures from any mobile device to your pc? Check out SHAREit Transfer&Share APP! It works on Laptops and Android gadgets, very easy in use and lighweight. Download SHAREit for PC from here: https://download-shareit.com and share files between your friends, family or strangers!